The Maître chocolatier offers two new hearts for Saint Valentine's: the blood orange and goji and the cherry and elderberry will delight you with their depth and intensity. 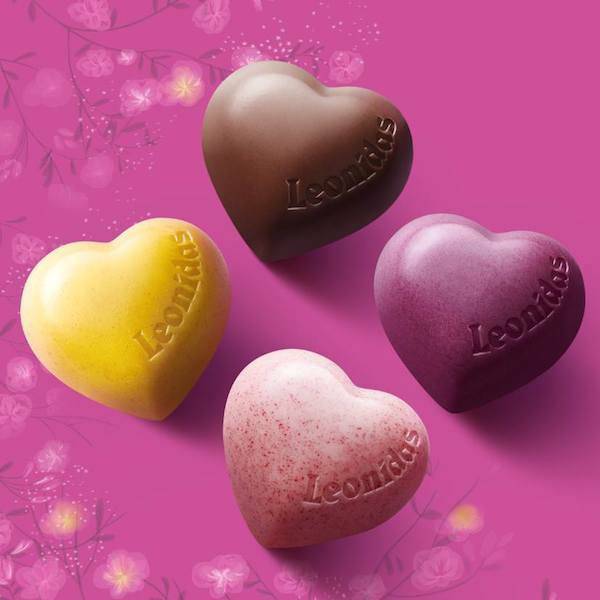 Delightful creations to give with love and take with passion, on addition to the two permanent hearts with vanilla and raspberry. Put a smile on your lover's lips! Saint Valentine's is all about together time. We are there for you. Put it in full sight, our Saint Valentine's collection and its fine, poetic little boxes. An ideal romantic gift to declare your love.